We’ve discussed the intense battle between Apple and Google at length, but believe it or not, Apple isn’t Google’s only high profile competitor. Flying below the radar, Amazon is quickly becoming huge competition to the search engine giant, and their war could effect your online marketing. Amazon, whom some may remember as just an online bookstore, has quickly grown to sell literally everything you can imagine from A to Z. Every day new sellers, big or small, can sign up to sell their products on the site. We agree that searching for products on Amazon is much easier than searching for products through a regular Google search. With Google, the user must sort through text and image results to see what they’re really looking for, while Amazon provides a neat list that allows you to compare products and prices. Google has a hidden gem though. Simply visit www.google.com/shopping to see what we mean. Search for the item you’d like to buy, and not only is the list of products provided organized neatly, but within every product listing you can see different sellers and their set prices. Unfortunately Google’s “shopping” option is hidden under the “More” dropdown menu at the top of the home page. We didn’t even know it existed, until we began research for this article! 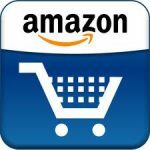 Which is your e-commerce of choice: Amazon or Google? Or is it another site entirely? Contact us to let us know!